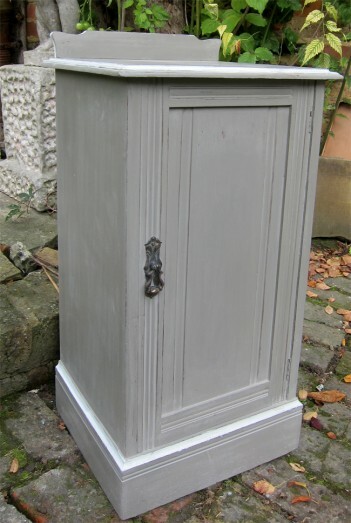 Lovely Edwardian Walnut Pot Cupboard. Has been painted using Annie Sloan French Linen, inside and out, then distressed and waxed. Has original handle and slatted back, would make a perfect bedside table or side cupboard in a living room, or a small piece for a hall.